“I am all ears” is an expression meaning that you have someone’s attention. At Sacramento Plastic Surgery Center, Dr. Scott Green is listening, and paying attention to what you are saying. What he has heard is that some patients are self-conscious about the size, shape or protuberance of their ears. It’s bad enough if you are unhappy with your appearance, but it’s even worse when your child has to suffer from something of no fault of their own, such as protruding, deformed or ill-sized ears. Fortunately there are plastic surgery procedures available in Sacramento that can help you improve the appearance of your or your child’s ears, restore balance and proportionality to facial structures, ameliorate defects from birth or injury, and transform a feature that may be causing embarrassment into a source of pride. Also called otoplasty, or “ear pinning,” this surgery is generally done to reposition protruding ears more closely to the head. Protruding ears can cause distress for patients and family, and results of this surgery can be very gratifying. Usually the ear cartilage is sculpted to create more natural curves, in addition to repositioning the ear as a whole. The procedure can be performed in children as well as in adults. 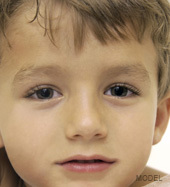 Most ear pinning patients are children between the ages of four and fourteen. Ears are almost fully grown by age four, and the earlier the surgery, the less teasing and ridicule the child will have to endure. Ear surgery for adults is also possible, and there are generally no additional risks associated with ear surgery on an older patient. We advise our Northern California patients from areas including Roseville and Folsom that cosmetic plastic surgery in Sacramento should only be performed on children if it is truly what the child wants. Children who feel uncomfortable about their ears and want the surgery are generally more cooperative during the process and happier with the outcome. Generally ear surgery takes two to three hours, although it may take longer if extensive work is necessary. Following the procedure the head is wrapped in a bandage to promote the desired molding and expedite healing. An Otoplasty will ordinarily leave inconspicuous and faint scarring, hidden on the back of the ear. It is not unusual for patients to report some aching or throbbing in the ears during the first few days, however this can be minimized through modest pain medication. During recovery the patient should of course avoid any activity that could cause trauma to the ear. After a few days the bandage will be replaced with a lighter weight headband. Within a week sutures that were placed into the cartilage will be removed or dissolve on their own. Patients are typically able to resume their activities at school or work within a week. Although there are variations of the procedure based on the presentation of the patient, one of the more common techniques is when the plastic surgeon makes a small incision in the back of the ear to expose the cartilage. Then the doctor sculpts the cartilage and bends it back toward the head. Stitches may be used to help maintain the new shape as well as close the incision. Occasionally, a larger piece of cartilage may be removed, which will provide a more natural-looking fold when surgery is complete. As with any Sacramento cosmetic surgery procedure, be sure to follow your plastic surgeons instructions regarding taking medications and vitamins, eating, drinking and ceasing smoking. If you’re considering an ear pinning, or some other cosmetic surgery for your ears, the following information will give you a basic understanding of the procedure: when it can help, how it’s performed, and what results you can expect. It can’t answer all of your questions, since a lot depends on the individual patient. Please schedule a consultation with Dr. Scott Green to discuss whether a cosmetic ear procedure can benefit you or your child. Call 916-929-1833 to schedule a consultation today.